Mice Removal : Just How Smart are They? When people think about smart animals they often consider squirrels, raccoons, and monkeys. Rarely do they ever think about mice. That’s because for centuries the cunning of mice has been overlooked. But the notorious little rodents have characteristics that demonstrate shrewdness and often it is these shrewd traits that help them survive and make mice removal such an arduous task. People who have mice for pets know how smart the animals are and in fact, this intelligence is one reason some gravitate towards the animals for companionship. They can teach them tricks and train them to recognize and respond to cues such as their names and to sit up for food. Mice, therefore, are not only low maintenance as pets but they are also quite entertaining as well. Mice owners can expect to see an increase in this level of intelligence as scientists have discovered a way to make mice even smarter. The key lies in the manipulation of the animal’s genes. So far mice who have been exposed to this enhancement have demonstrated superior skills in navigating mazes, task completion, and memory capacity. Of course, this is exciting news for mice owners but not so much for people who face mice invasions in their homes. Mice are smart and also resourceful, once in the home, they can travel and cause damage. Mice are savvy discerners. They are able to detect food and danger easily as their sense of smell and hearing are superb. 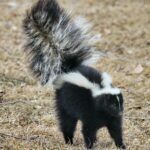 The human smell is particularly helpful to them as they use it to avoid areas frequented by people as well as mice controlling devices installed by humans. In doing so they are able to evade notice attempts at getting them out of buildings. When it comes to the sense of hearing, mice are particularly gifted. The furry rodents can hear sounds that are so high in frequency that people can’t hear them. This means that their powerful hearing abilities can warn them of approaching predator or human being so that they can scamper away. Theses senses also help mice to avoid predators and therefore survive longer, but on the flip side, they also make mice control challenging. Mice have excellent memories. This is how they stay on top of the different routes they use to travel in houses and this is why they are so difficult to corner. Once a mouse detects danger along one of its routes, it is unlikely to travel that way again as it will remember the encounter. A mouse’s memory also enables it to remember the mice in its family and in so doing keeps the colony together. Mice are highly social creatures, which is why they tend to occupy homes in large groups. To keep the group together they communicate by sound as well as smell. Their squeaks send messages to fellow mice. As a mouse travels, it leaves a trail of smell that allows other mice to know where to go or what areas to avoid (where danger looms). The special abilities of mice facilitate their survival but they also render many mice infestation solutions ineffective. This is why DIY mice control measures are often doomed to fail even before they are started. By far, the best approach to a mice invasion situation is the expert one. Trained and experienced animal technicians are familiar with mice biology, characteristics and behavior and so they are well aware of the factors identified here as well as many more. They are also cognizant of the methods that work as well as those that don’t when it comes to mice removal and exclusion.This type of expert approach to mice removal can be found at Skedaddle. 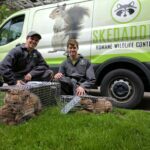 Skedaddle Humane Wildlife Control in Milwaukee is the perfect option for mice dilemmas because not only are their strategies informed by detailed knowledge of the animals but they are also humane and effective.